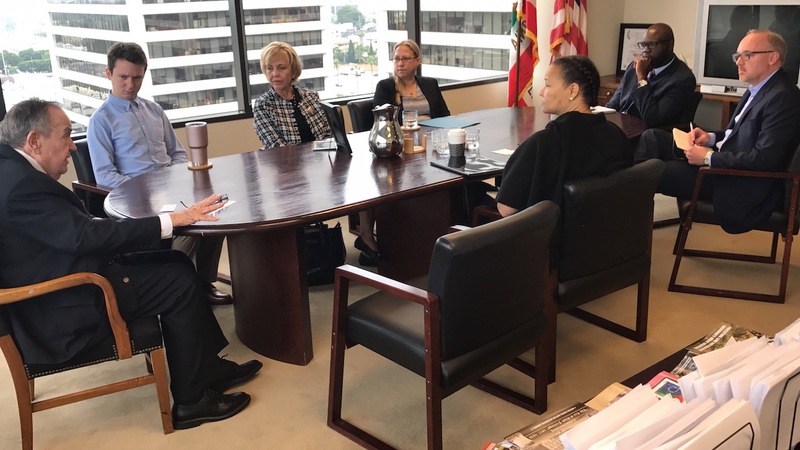 ABOVE: Patient advocates working to reform medical malpractice laws meet with Sen. Feinstein's staff. Medical negligence is a silent epidemic that claims hundreds of thousands of Americans’ lives annually. Consumer Watchdog fights for greater doctor discipline and physician accountability through the regulatory and legal system. We work with patients injured by medical malpractice and their families to tell their stories, improve patient safety and create legal deterrence to medical negligence. Consumer Watchdog has long opposed and sought to rollback California’s “one size fits all” cap on what injured patients can recover from juries and to stop the spread of this cruel cap on courts across the nation. The medical insurance complex defeated a California ballot initiative in 2014, Prop 46, that would have lifted the cap and instituted drug testing of doctors. A third provision of the ballot measure, the requirement that doctors check an existing database of prescriptions before prescribing narcotics for the first time, was signed into law by Governor Brown in 2016 and in effect.